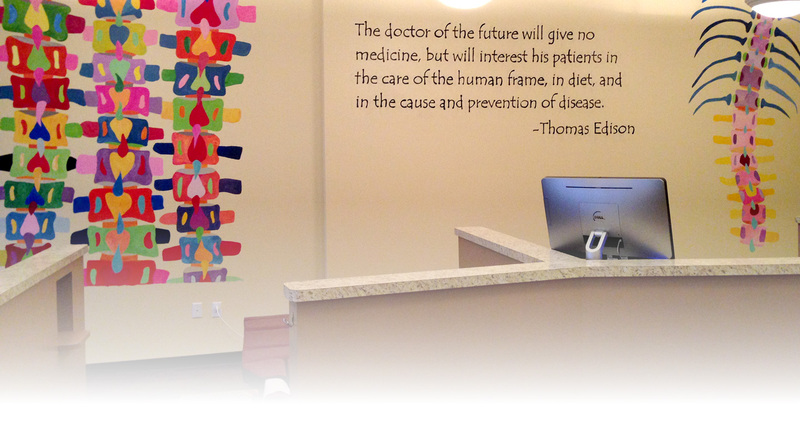 We’re glad you’ve decided to see what chiropractic can do for you. Please click here to view our new patient forms and feel free to save time by bringing them already filled out. You can print them at home directly from the web, or call us to have them e-mailed to you. When you arrive, Erika will greet you and ensure you’ve filled out the paperwork completely and she will scan your insurance card to see if it will contribute in any way to your first visit. We hope you’ll make yourself comfortable and help yourself to the coffee and water bar in the lobby. Please arrive 5-10 minutes early on this first visit. We’re generally running on time, so that you can get out the door and back to life quickly. Ideally you’ll return on the next day, and receive a report of findings. This will take about 30 minutes from start to finish. Dr. Meredith will go over your X-rays with you, explain what she found on your scans, and you will receive your first adjustment. Also, we’ll teach you about Spinal Molding, and send you home with two “noodles” so that you can perform this important resetting of your spine at home daily. Again, we would like this visit to be directly following the first and second, so that you can receive the most benefit from it. 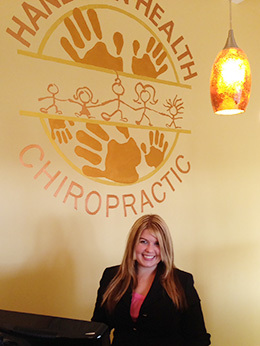 Dr. Meredith will listen to your thoughts about your first adjustment and will want to know how you feel. You and she will talk about options for your care, based on your own needs and her best recommendations. She’ll explain the different cost effective choices we can offer, so that you can make the best decision for you. Finally, Dr. Meredith will teach you specific home exercises to support your needs, based on your X-rays. After this third personalized visit, you’ll be able to come in any time during our Open Adjusting Hours and follow up with your care plan at your own convenience. Click here to learn more about your Return Visits.